A fan-made project called Installation 01 looks to recreate the classic Halo experience of older games, and both the team and the project have recently received the OK from 343 Industries — legally speaking — to continue bringing the game to life. Created for the PC, Installation 01 is a game that focuses its gameplay around some of the old-school Halo games. While they're aiming to recreate the experience of Halo 2 and Halo 3 and the team behind the game says that they're creating everything in their game from scratch instead of using assets from official games, there's still a bit of grey area there when it comes to fan-made games. However, the team had the opportunity to speak with 343 about the project, and it looks like the higher-ups are cool with them proceeding with the game's development. 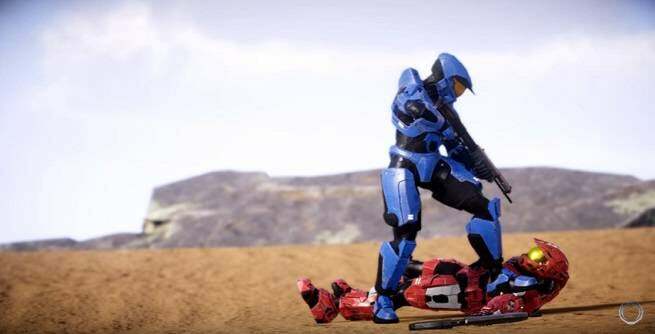 “Installation 01 has been maintaining a level of contact with 343 Industries over the past several months," the project manager for Installation 01 said in a recent statement about the two teams' relationship. "We initially reached out to a company representative and spoke with him about getting into contact with Microsoft/343's legal department to answer a few inquiries we had about the legality of our project." According to the statement, the meeting that the two teams had via phone call apparently went pretty well. While Installation 01's team has been staying in touch with 343 over the development of their game to keep them informed on the proceedings, the recent meeting provided the opportunity for more questions to be answered about the legality of the project. "We are happy to announce that the outcome of the call was both incredibly informational and very positive!" the statement read. "Through these interactions we have been ensured that Installation 01 is not under imminent legal threat, provided we remain non-commercial in nature and scope, and continue to follow Microsoft’s Game Content Usage Rules to the letter." That doesn't mean that 343 will be providing direct support for the game, as Installation 01 still won't be allowed to sell any Halo-related merchandise. The game will be free-to-play though, and the team will continue referring to it as a "project" to remain extra safe. Installation 01 doesn't have a release date yet, but it's set to be released on PC.